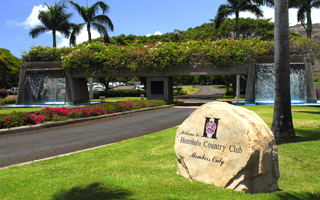 Honolulu Country Club, a private golf and country club in central Honolulu, was established in 1977. It is privately-owned and its diverse and distinguished membership includes local community leaders and international businesspeople. HCC is only 10 minutes from downtown Honolulu and the International Airport, and offers great convenience and accessibility from anywhere on Oahu. Its 18-hole championship golf course was designed by Arnold Palmer and Francis Duane. The spacious two-story Clubhouse gives Members a lovely view of green O‘ahu hills and impossibly blue skies, and at night, sparkling city lights glitter beyond the fairways. 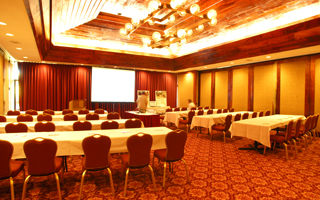 Rare Hawaiian Koa wood lines the clubhouse interior creating a rich, regal, and uniquely Hawaiian ambience throughout the ballrooms and hallways of this beautiful building. At their leisure Members can enjoy fine dining in the Restaurant & Sushi Bar, and the Grille Room also offers delicious meals and beverages after a great day on the course. A swimming pool and outdoor party area are also very popular spots for Members special events. 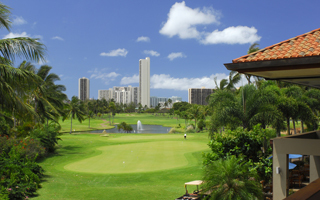 Honolulu Country Club's beautiful banquet and meeting spaces are open to the public. 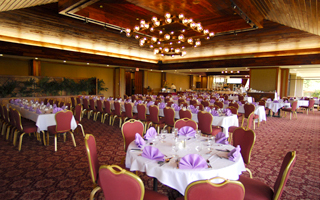 HCC is the favorite choice for weddings, catered parties, business meetings, or banquets for all occasions, and ample free parking is always available. Call 808-441-9420.